The two days National workshop on "Imagining the future of the Space Science and its strategic importance, scheduled for 11-12 Oct, 2018 organized by Department of Physics and Astronomical Sciences, Central University of Jammu concludes today at CU Jammu. This conference was sponsored by Indian Space Research Organization (ISRO), Department of Space, Govt. of India. The workshop was earlier inaugurated by Hon’ble Union Minister of State, Dr. Jitendra Singh, ISRO- Dr. K Sivan, Former Chairman ISRO & Member of Executive Council CU Jammu- Dr. K Radhakrishnan and CEO & Chairman J & K Bank- Jenab Parvez Ahmed. The Indian Space Research Organisation (ISRO) signed an MoU with the Central University of Jammu (CUJ) in Jammu today for setting up of the “Satish Dhawan Centre for Space Science” in the University. Another MoU was signed between CUJ and the Central Scientific Instruments Organization (CSIR-CSIO). The aim of the MOU’s is to create awareness about space research and to motivate young minds to take up research related to space, astronomy, geology, atmospheric sciences and related fields. On second day, the first technical session was chaired by Prof. S. K. Khosa. Dr. Mainpal Rajan, delivered an invited talk on an Introduction to X-ray Astronomy by, PRL, Ahmedabad and followed by Lecture on Remote Sensing Technology: Fundamentals by Prof. Ajai, FNASc FISG FSES, Space Applications Centre (ISRO), Ahmedabad. Other invited talks were on “Lack of clustering in low-redshift 21-cm intensity maps by Dr Jaswant K. Yadav(Central University of Haryana). Ms. Eisha of 3rd year student conducted the proceeding of the valedictory function. 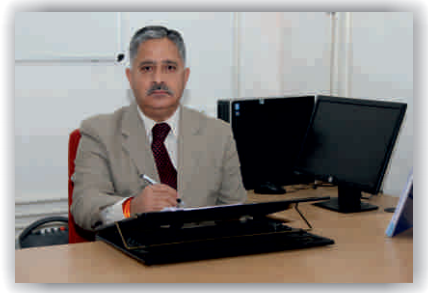 Dr. Vinay Kumar, Convener of workshop and HoD Physics and Astronomical Sciences expressed his sincere gratitude for assistance rendered by students of Physics Department, financial by the sponsors: J&K Bank and M/s Ramesh Traders Jammu and necessary help and support from all administration, technical and officials of the University. He also thanks the untiring efforts of the organizing team of workshop: Prof. S. K. Khosa (Chairman), Dr. Amit Tomar (Co-convener), Dr. Avinash C Yadav and Dr. Suram Singh and Dr. Jehova Jire to make this as a mega event of the Department. Dr. Avinash Yadav, Organizing Secretary, summarized the report in the function.